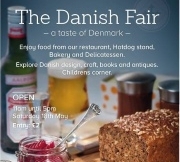 The Anglo-Danish Society organises a lively programme of cultural and social events in the UK - mostly with privileged access and a connection to Denmark - for Brits and Danes to enjoy each other’s culture and company. We welcome applications for membership and you can download a Membership Application Form here. The Society grants scholarships for the purpose of post-graduate studies or research. Each year awards are made to 6-8 students for study in the other country. Awards are not limited to any specific subject with the exception of an award sponsored by the Ove Arup Foundation for a student working in the field of the “Built Environment”. 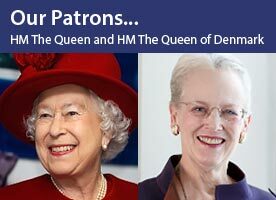 The Society enjoys the patronage of Her Majesty the Queen and Her Majesty the Queen of Denmark. HRH The Duchess of Gloucester is the Protector of the Scholarship Programme. It also has the active support of the Royal Danish Embassy and a number of Danish and British companies. Reg. Charity No. : 313202. 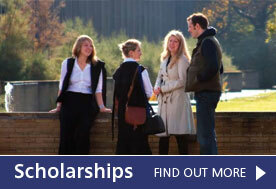 Our charitable Scholarship Programme has been supporting Danish and British post-graduate students for 60 years. We plan to celebrate with a Royal Banquet to which we have invited royalty from both countries. This will be a fabulous Black Tie dinner with outstanding music and entertainment in the splendid surroundings of Drapers' Hall in the City of London. This event is for members, guests and non-members with an interest in supporting the Scholarship Programme of The Anglo-Danish Society. Here is an important date for your diary! People to meet, things to try, to buy and, if you are lucky, to win! Meet your friends in the restaurant for smørrebrød, wienerbrød, lagkage - or whatever tickles your tastebuds. The closing date for scholarships relating to studies during the academic year from Oct 2019-July 2020 was 1st March 2019. The next Scholarship Application Round will be for postgraduate studies during the academic year Oct 2020-July 2021. See Announcement & Criteria here. An application form will be available to download in October 2019.